Garlic bulbils are the small bulbs that develop in the garlic scape if you leave it on the plant. 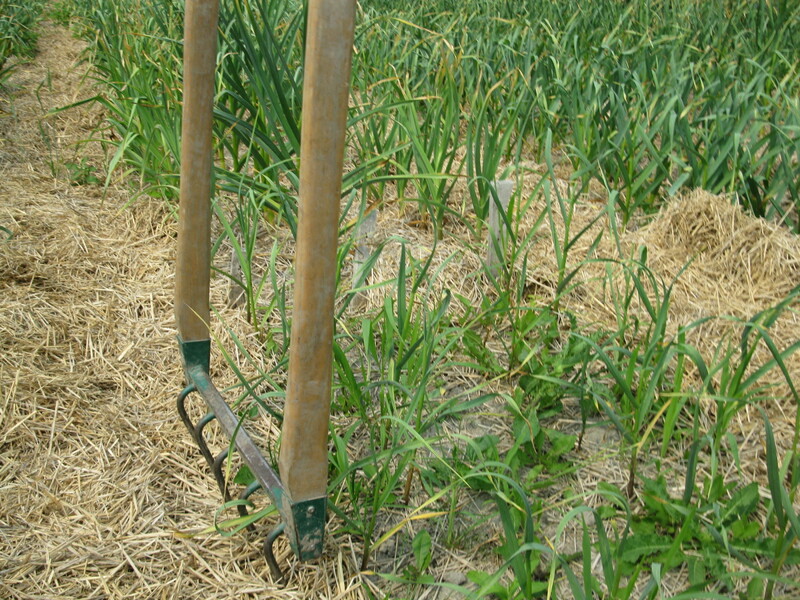 Garlic scapes are often referred to as garlic flowers. 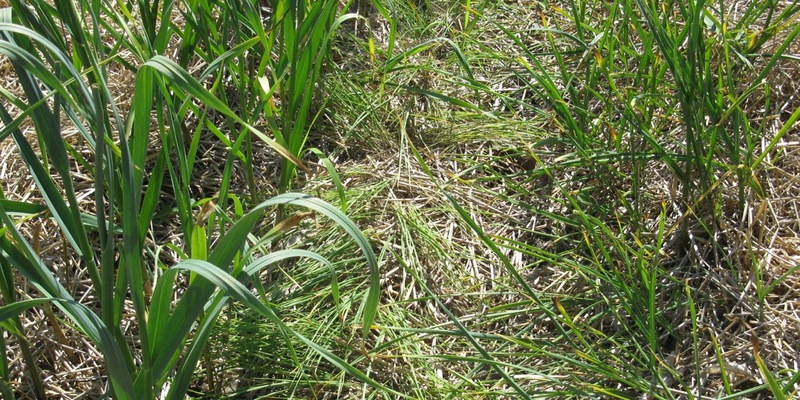 However, scapes aren’t true flowers – the reproductive parts only partially form and they are not viable. As such, there is no cross pollination. The bulbils that form are clones of the mother plant. 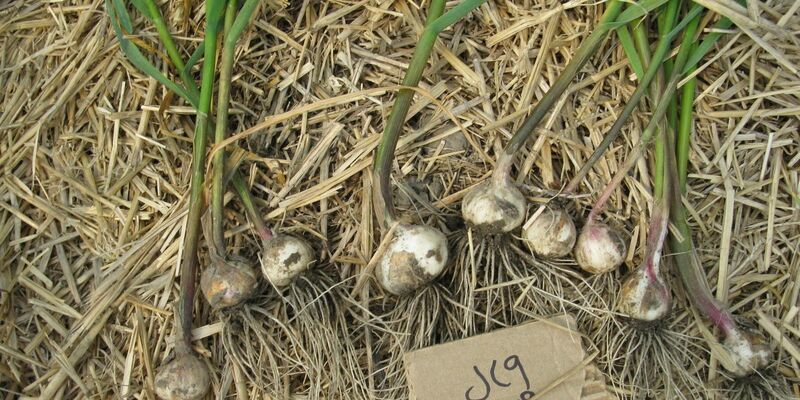 They are essentially mini-bulbs that will grow to be large bulbs if they are treated like normal garlic cloves. 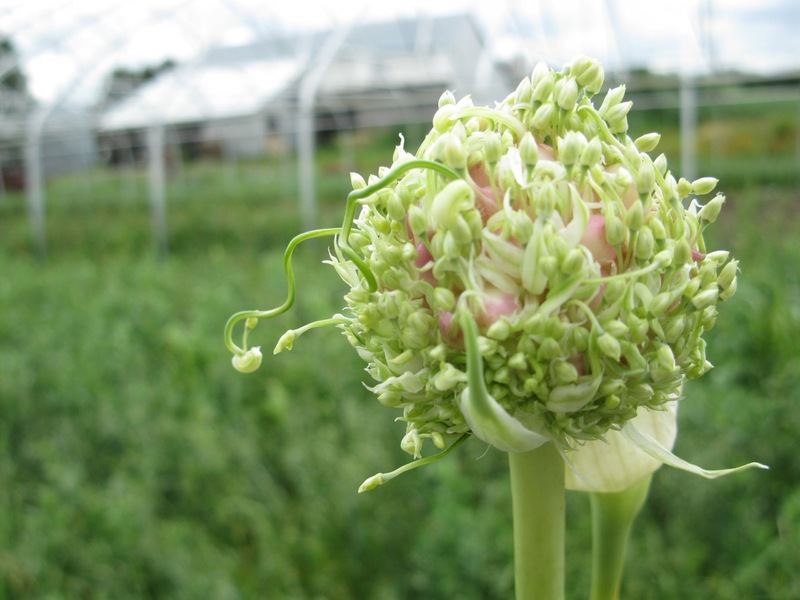 We plant our bulbils in the fall at the same time as your normal garlic crop. They are planted much closer together than you would normal garlic bulbs. If you don’t get to it in the fall, you can also plant bulbils in the spring. You can plant them in the ground as soon as the ground thaws. You can also start the bulbils indoors in pots and transplant them to the field. Or if your containers are deep enough, you can simply grow the bulbils in the container! Plants emerge in late April or early May. You may need to remove the mulch if the ground takes very long to thaw. Below is a picture of 2nd year bulbils in early June. There are two Rocambole rows on the left, a Porcelain row in the middle, and two Rocambole rows on the right. Notice how small the Porcelain plants are in the middle. The plants are ready to harvest when the leaves begin to yellow and/or the stems begin to flop over. 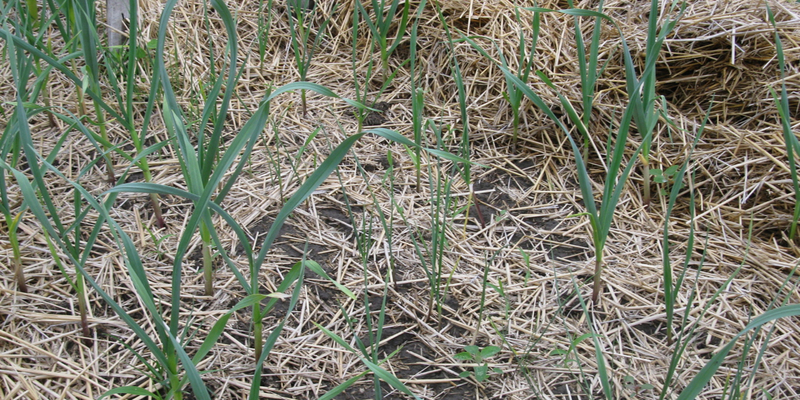 This happens 2 to 3 weeks after garlic scapes appear & 2 to 3 weeks before harvesting the main garlic crop. In the picture below are (from left to right) 2nd year Rocambole plants, 2nd year Porcelain plants, and 2nd year Marbled Purple Strip plants. The two varieties on the right are definitely ready for harvest. 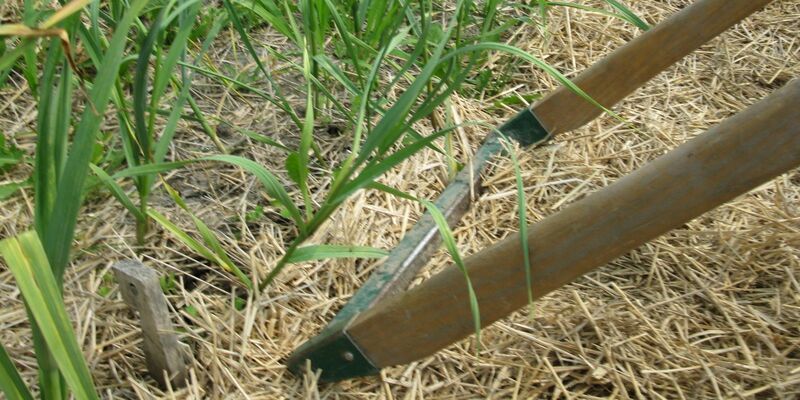 Loosen the ground with a shovel or broadfork and pull the plants out very gently. They are more delicate than full size bulbs. It is quite easy to pull the stems right off. 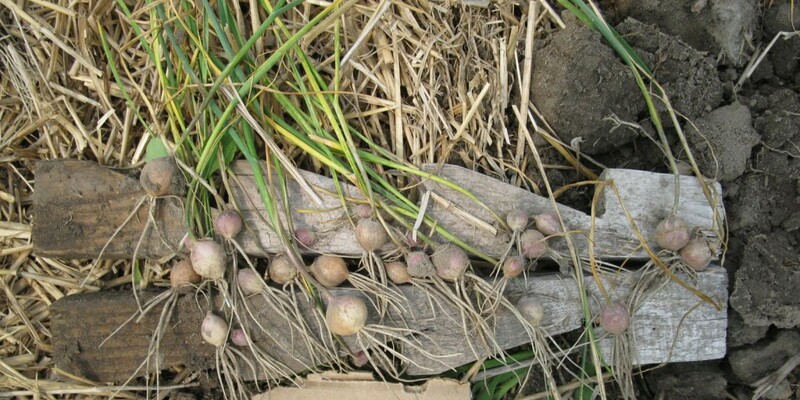 The largest bulbils usually produce small bulbs with differentiated cloves in their second year. 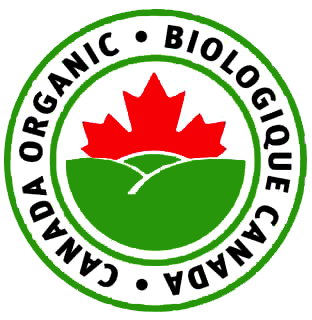 Occasionally, they produc one-clove bulbs called rounds. 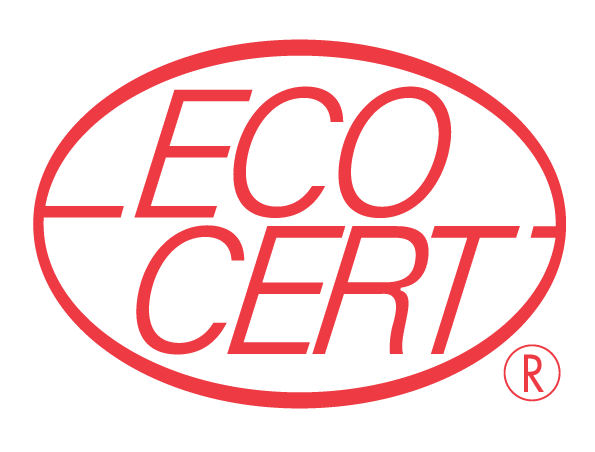 Below are 2nd year Rocambole bulbs. Not all garlic bulbils grow out the same way. These are 2nd year Porcelain Music bulbils. They are all rounds of different sizes. Next year they will probably produce small cloves similar to the Rocamboles above. The difference between the two garlic types is quite pronounced. Left: Porcelain round. 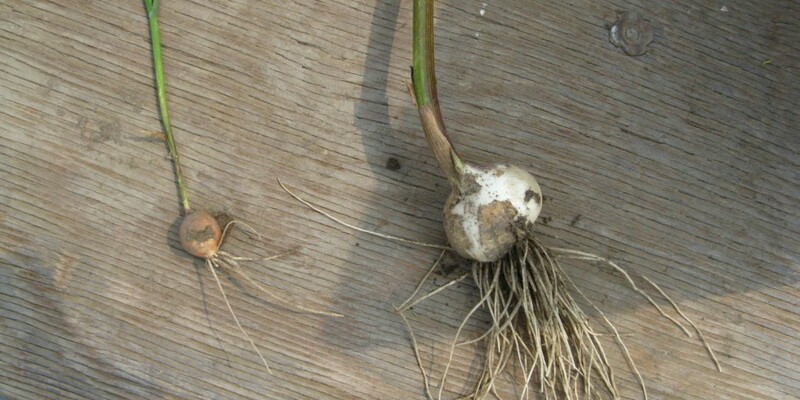 Right: Rocambole Bulb. Both are 2nd bulbils. The difference in size is solely due to the horticultural group. Next it is time to cure your garlic bulbs and garlic rounds. Curing is the process where the neck of the garlic bulb closes trapping all the juicy garlic goodness in the bulb and keeping diseases out! 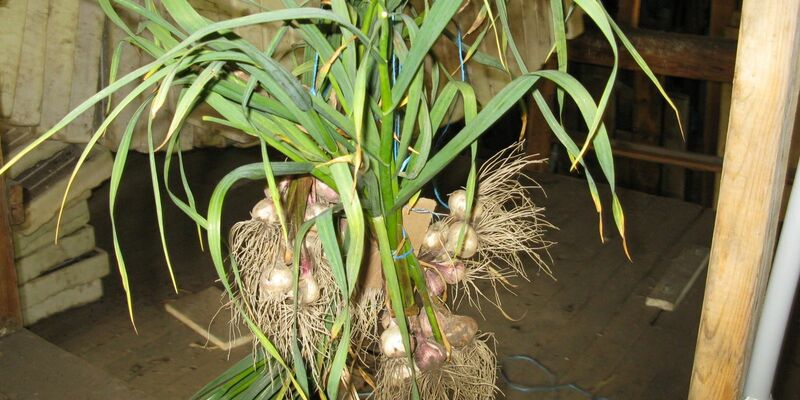 THe bulbs have finishes curing when the stems dry down. They should be ready by the end of September. You can hang large plants in bunches in a well ventilated area. 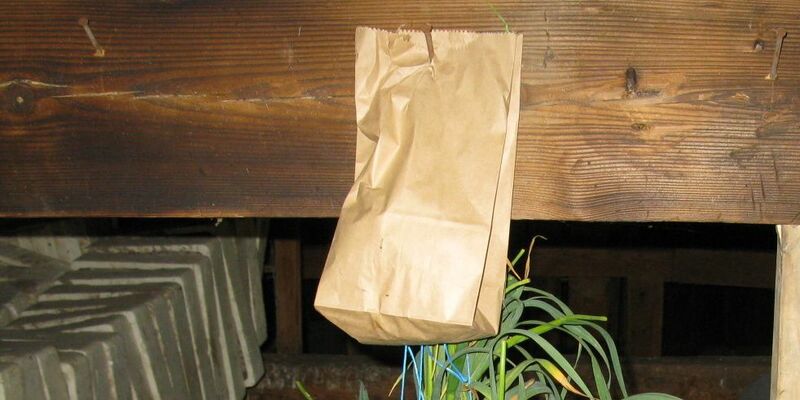 You can cure Porcelain rounds in a paper bag as they are difficult to bunch effectively.